1. Who is your least favorite female character? 2. What's your favorite Horcrux? 3. If you could change the name of the 4th book, what would you make it? 4. If you could change one thing in the whole series what would it be and why? 5. Which do you you prefer: DH part 1 or DH part 2. 7. Is your favorite book different from your favorite book? 8. 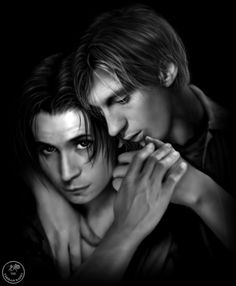 Do you ship a couple than never ended up together? 9. Harry Potter or Twilight? 10. If you could meet one member of the cast, who would it be and why? 11. 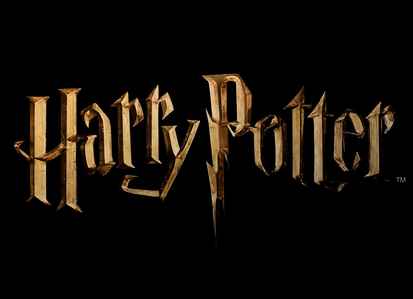 Which director would you most want to meet: Chris Columbus, Alfonso Cuaron, or David Yates? 12. Out of all the characters that died, if you could bring one back, who would it be? 13. Was there someone you wanted to die more than You-Know-Who? 15. 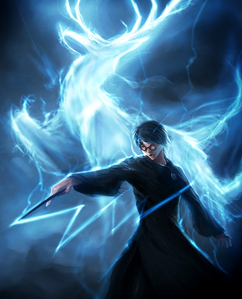 Would you be a Death Eater or in the Order of the Phoenix? 16. Is J.K. Rowling your favorite author? If not, say who IS your favorite. 17. Are there some parts you wished WEREN'T in the books? 19. 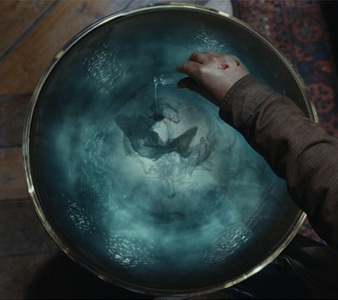 Which would you have rather owned: A Pensieve, Invisibility Cloak, Time-Turner, or a Rememberall? 20. Do you like Potter Puppet Pals? 21. 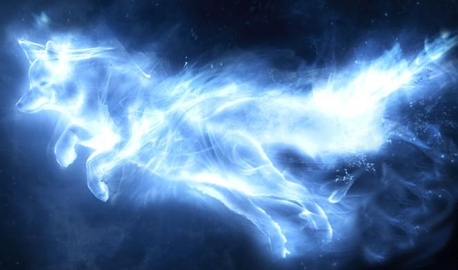 Are you a HP Fanfiction writer? 22. 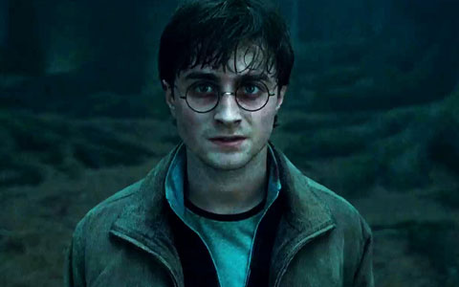 What impact has Harry Potter made on your life? 23. Which character are you most like? 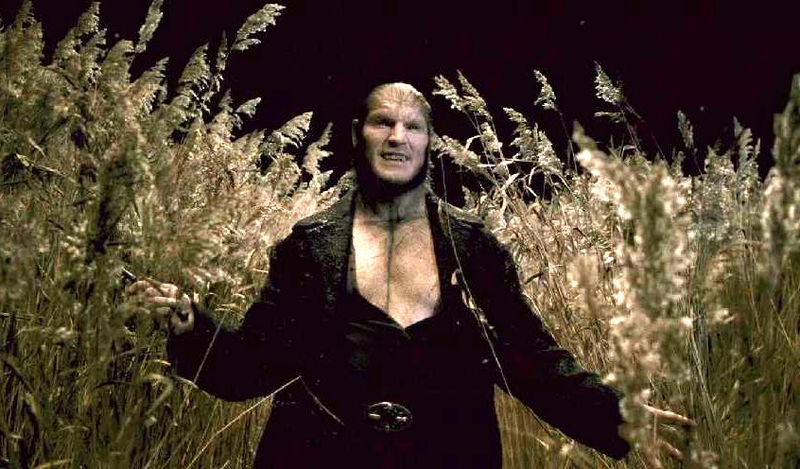 24. Who is your favorite Death Eater? 25. What spell would you most want to master? 26. If you could take all the subjects that the trio took, which do you think you would you be best at? 28. If you were in the D. A., what jinx/spell/hex would you most be looking forward to learn? 29. 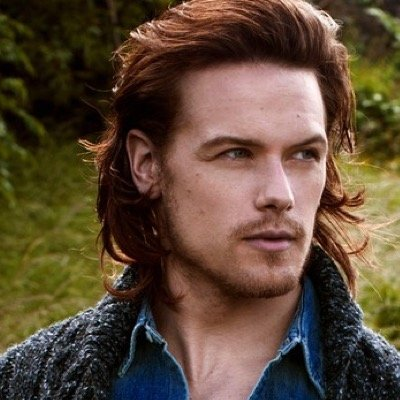 Least favorite male character? 30. What year did you start to get interested in HP? Probably Ginny....just coz she and Harry make a really awkwards couple! I'm too lazy to comeback everyday so I'm gonna do all 30 now! 4.The Romione pairing to Dramione, because Hermione and Draco are Perfect for each other in many ways. 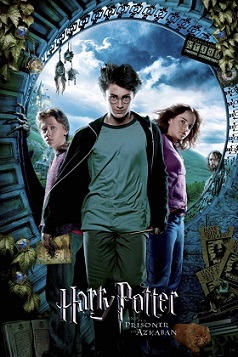 6.Harry Potter and The Half Blood Prince. 7.Yes, I prefer the Deathly Hallows book. 10.Tom Felton,Because he's my fave,his personality is awesome and he did an amazing job of portraying Draco Malfoy. 11.Honestly I would love to meet all of HP's directors. 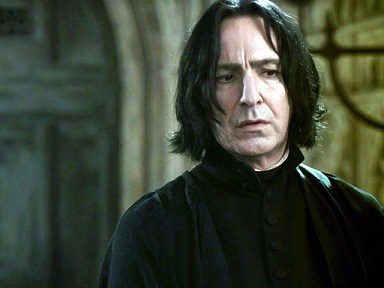 15.I would take on both sides Like Snape Did. 16.Of course she's my FAVE author! 17.No,I love the books just the way They are. 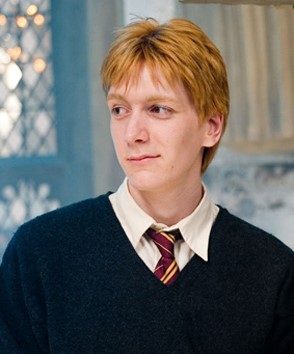 18.Teddy Lupin, to be honest it was a relief they cut Ludo out cause he annoyed me very much. 22.HP has made a very big impact in my life by teaching me it's many lessons. 1. Who is your least favorite female character? 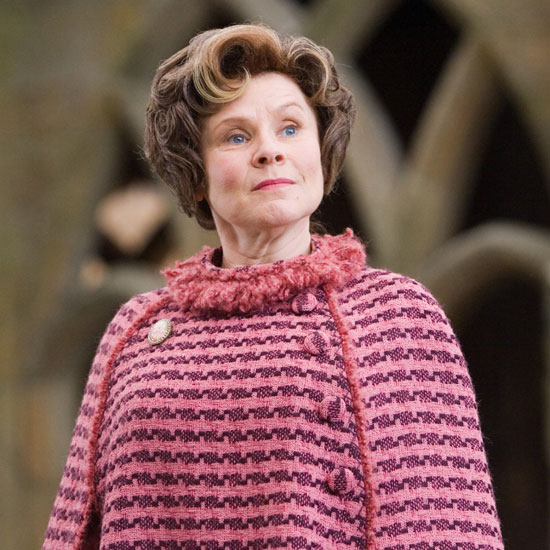 I have two; Dolores Umbridge because she had meaningless reason to enforce ghastly punishments and in my opinion, wasn't a good headmistress. Also, I'm not keen on Rita Skeeter because she caused harm in what she spawned lies and offended many people in her articles. 2. What's your favorite Horcrux? The snake, Nagini because I think she is the representation of Voldemort's control of everyone, even a snake. 3. If you could change the name of the 4th book, what would you make it? I wouldn't change it because the aim was that 1 out of 4 champions would claim the Triwizard Cup. 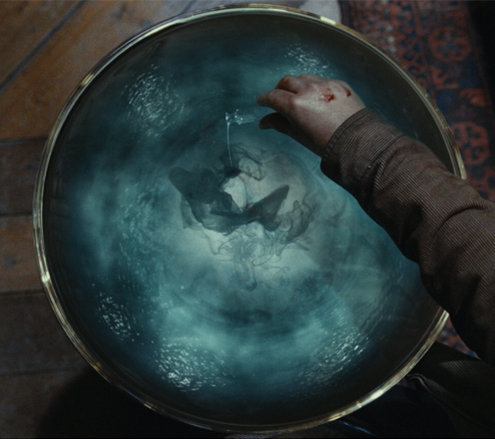 The Goblet of Fire screams that I have to work hard to achieve my goals in life. 4. If you could change one thing in the whole series what would it be and why? 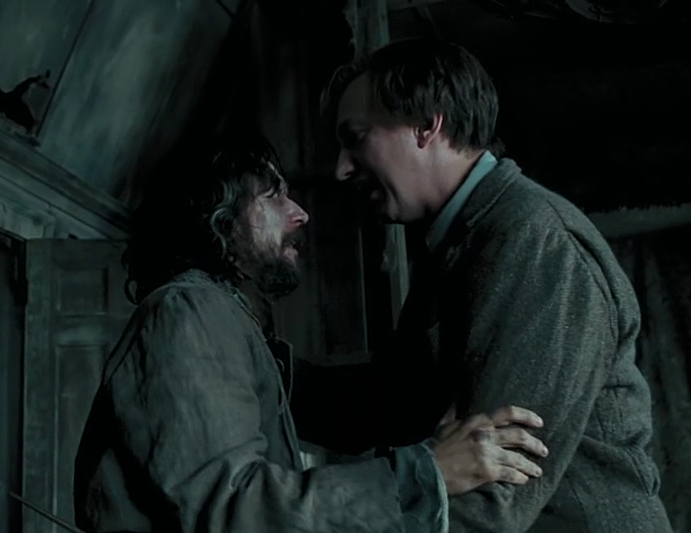 I would save Snape because he died needlessly, like many people in Harry Potter. 5. Which do you you prefer: DH part 1 or DH part 2. I prefer the Deathly Hallows Part 2 because the movie had more action and adventure. 10. If you could meet one member of the cast, who would it be and why? Ralph Fiennes because I would have an intelligent with him and he seems down to earth. 11. 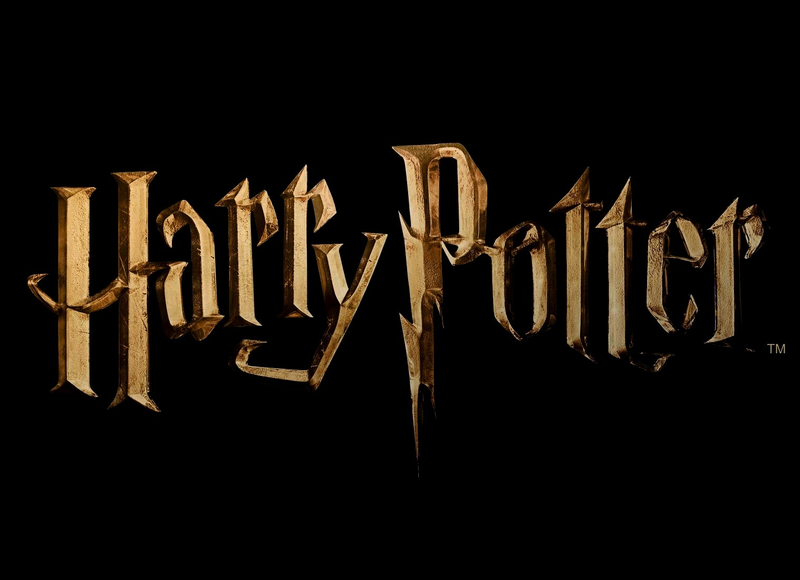 Which director would you most want to meet: Chris Columbus, Alfonso Cuaron, or David Yates? All of them because I would learn something about films and how they work. 12. Out of all the characters that died, if you could bring one back, who would it be? Fred because George would be lost without his twin brother. 13. Was there someone you wanted to die more than You-Know-Who? I didn't want Voldemort to die, he was awesome. 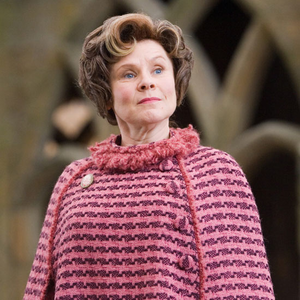 However, I would replace him for Dolores Umbridge because she inflicted harm on many children at Hogwarts. 14. Who would be your best friends at Hogwarts? 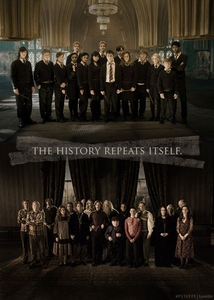 It can be people who went to Hogwarts before Harry, too, like Bellatrix Lestrange and Sirius Black. (Name 3 only.) Draco Malfoy because I would like to be a Slytherin rebel. Tom Riddle Jr because I would have a marvellous conversation and I would share tactics with him. 16. Is J.K. Rowling your favorite author? If not, say who IS your favorite. J K Rowling is my favourite author because she allowed me to discover emotions and depth. Also, she allowed to explore a new world; a variety of characters and creatures. 17. 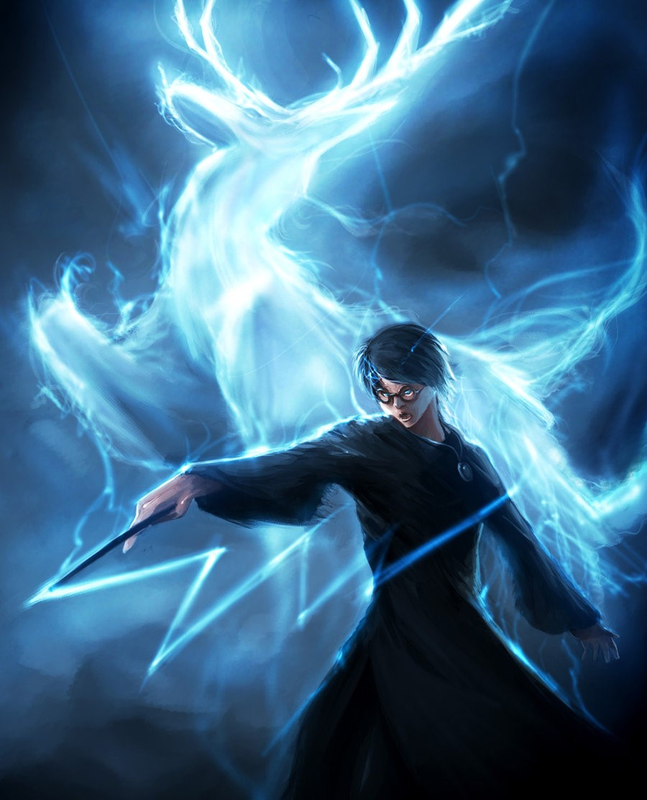 Are there some parts you wished WEREN'T in the books? No, I enjoyed everything. 18. If you could pick one character that was cut out of the movies to bring INTO the movies, who would it be? (Ludo Bagman, Teddy Lupin, etc.) I would like to see Peeves the Poltergeist because he annoying but fun at the same time. 19. 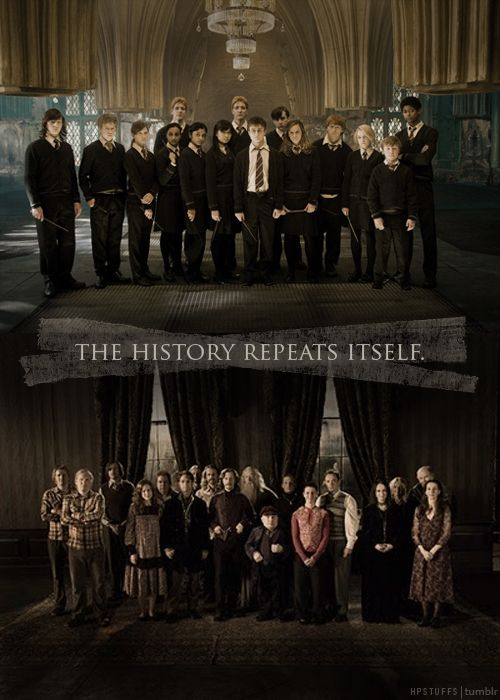 Which would you have rather owned: A Pensieve, Invisibility Cloak, Time-Turner, or a Rememberall? I would own an Invisibility Cloak because I can cause a lot of mischief around Hogwarts. 20. Do you like Potter Puppet Pals? I've never seen or watched it. 21. Are you a HP Fanfiction writer? No, I would like to but I'm afraid it would come out rubbish. 22. 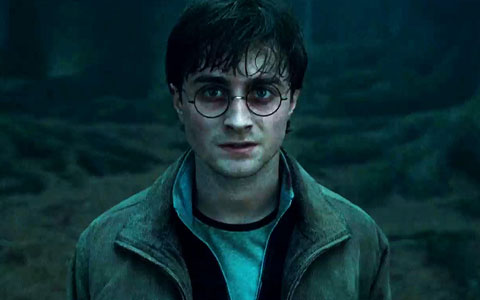 What impact has Harry Potter made on your life? My imagination has developed further and I've learnt different words. Also, I've learnt that being weird is a wonderful thing. 23. Which character are you most like? I'm probably most like Hermione and luna because I'm very creative but I thrive on information. 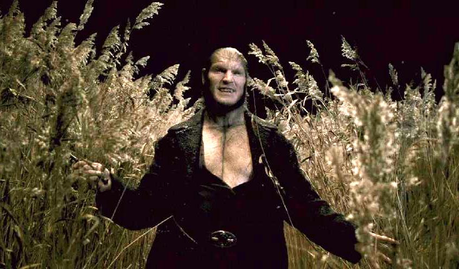 24. Who is your favorite Death Eater? Severus Snape because he sacrificed himself to protect Harry Potter, even though they despised each other. 25. What spell would you most want to master? 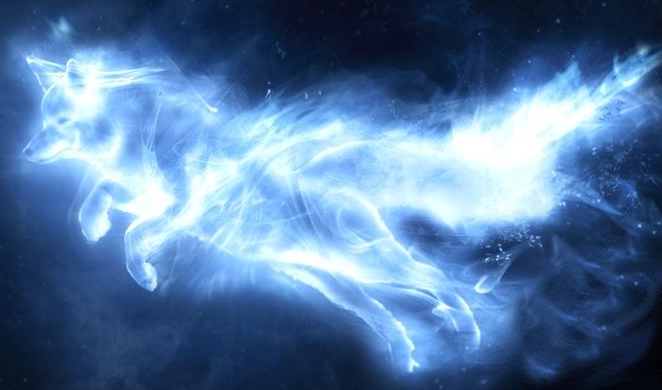 The Patronus Charm because I would be intrigued to find out what my patronus looks like. 27. Have you ever taken a Blood Status Quiz? If yes, what are you? 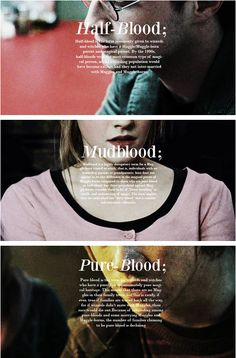 (blood traitor, squib, muggle-born, etc.) I would be a Halfblood. 29. Least favorite male character? Cornelius Fudge because he always jumps to conclusions and never listens to people's opinions. 30. What year did you start to get interested in HP? 2001 when the first Harry Potter film came out. I did one of these on the video game spot a while back xD So I'll try and take this one day at a time. Day 1 - Who is your least favourite female character? That would probably be Umbridge ._. day 1- who is ur least fav. female character? Day 2 - What's your favourite horcrux? Day 1- Who is your least favorite female character? CHO, because I didn't like how she was so emotional. I mean, even though she'd been through a lot, it would be good if she STOPPED CRYING. Harry's been through way more than her but he doesn't cry. I don't like her for a lot more reasons, too. Day 2: Probably the locket or the dairy too! Day:3 ummmm....I have no idea.. I wouldn't, I like the name how it is. Buuuut if I had to then Harry Potter and the Triwizard Tournament. That a lot of the people that died, didn't. xp It probably wouldn't have been as realistic but I don't even care. 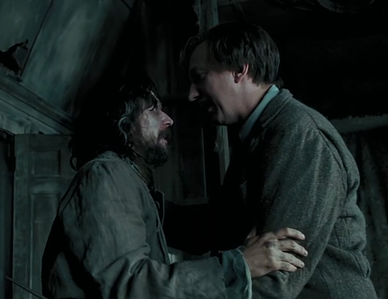 Sirius, Fred, Lupin, Tonks, Hedwig, Cedric & Dobby didn't deserve it. Honestly don't know, haven't watched them in a while. 7. Is your favorite book different from your favorite movie? Yup. My favorite book was my least favorite movie. My favorite movie is my third favorite book. Also Hermione/Krum, but I love Romione more so I'm completely happy with that. Is that a real question? xp Obviously Harry Potter. I can't choose just one omg!! I would love to meet most of them, especially: Daniel Radcliffe, Emma Watson, Rupert Grint & Tom Felton! David Yates, so I could go off on him for ruining OotP. Plus I wasn't too thrilled with his other movies.. In the Order. Also if I was at Hogwarts, then the DA. I don't have a number one favorite, rather a handful. And since HP is one of my favorite book series' of all time, she is among the handful! Not including certain character deaths? xp Nah, I think they're perfect the way they were. He wasn't in the books a ton, but I liked him and would've loved to see him! A million times better than a journal! I wouldn't really have use for any of the others. I've seen a few things about them on Tumblr but don't actually know what they are..
Technically it's a charm, but. Accio, Episkey, Tergio would be handy, too. I've gotten muggle born once, but usually it's half-blood. Isn't this basically the same as #26? 30. Since I was 10 years old so 13 years now! Lord, not sure of the exact year.. I think it was just before OotP came out, so around early 2003? I was almost 10.